Curtis Jones proved to be a shining light in an otherwise lacklustre pre-season outing for Liverpool on Saturday. The youth starlet was handed another opportunity by Jurgen Klopp as the Reds trudged to an uninspiring goalless draw against Bury. Jones started the game in midfield alongside vice-captain James Milner and summer-signing Fabinho, asserting an admirable composure and reliability with the ball at his feet. It continued an encouraging start to the summer for Jones, who notched a superb assist for Harry Wilson in last week’s 7-0 win over Chester. The teenager was a prominent figure in Steven Gerrard’s U18s last season and was quickly promoted to the U23s following the departure of Neil Critchley’s usual starters. An assured demeanour in the superior age-bracket spoke volumes about his level of maturity and talent, whilst further fuelling his reputation as first-team potential. Jones has since translated that self-belief into accomplished first-team performances in pre-season, flaunting an incisive vision, a well-executed passing range and a natural ability to glide beyond and between markers. In a plethora of bright young prospects on Merseyside, Jones is perhaps one of the frontrunners to push for a role under Klopp in the foreseeable future. 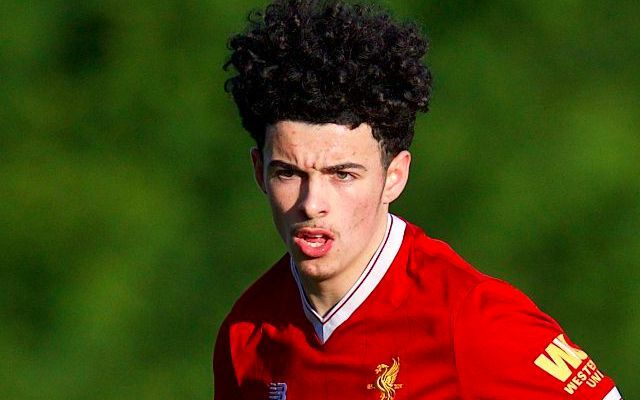 Curtis Jones has everything a young footballer needs. Curtis Jones. Smooth as silk that lad. Curtis Jones is a talent. Looks very composed. Curtis Jones seems like a really promising talent. I’ve seen the likes of Ibe and Rossister being overhyped and flop at this club, but I hope that Jones has a future here. He’s seeing a lot of the ball, that’s for sure. We saw a lot of Gerrard’s Liverpool youth team last season & Curtis Jones always stood out. Plays with a lot of personality. Looks a very good young player. That Curtis Jones is a real talent.